The three undergraduate seniors who are recipients of this year’s Wells Award have different reasons for studying both engineering and the humanities. But Andrew Howard ’19, Oliver Xu ’20, and Yiting Zhang ’19 have at least one thing in common: They have all excelled in their studies. The award, presented by the Hajim School of Engineering and Applied Sciences, recognizes seniors who are majoring in an engineering discipline, while also pursuing a major or minor in one of the humanities. Winners are chosen based on those with the highest GPAs at the end of their junior year. The Robert L. Wells Prize is named after the 1939 graduate in mechanical engineering who became a top executive at Westinghouse, was elected to the University’s Athletic Hall of Fame for his prowess as a varsity high jumper, and later served as a life trustee. He felt strongly that an engineer needed the balance of the humanities to be a competent engineer. Lisa Norwood, the school’s assistant dean for undergraduate studies, concurs. “Although engineers are problem solvers, as problems become larger and more complex, it’s important that our students are skilled at communicating with each other, their customers, and with other stakeholders in order to effectively solve these problems,” she says. Howard, who is from Olympia, Washington, is an optical engineering major who is also completing a minor in Italian. He chose to attend the University because of its strong programs in physics and computer science and because of the research opportunities it offers. His “pipe-dream” was to do research at the Laboratory for Laser Energetics (LLE), home of the Omega laser. He decided to major in optical engineering after taking Optics 101 with Professor Thomas Brown his first semester. “After completing the final project in that class–ripping out a rare optical component from a Texas Instruments projector, which was a lot of fun–I was pretty much sold on the major,” Howard says. 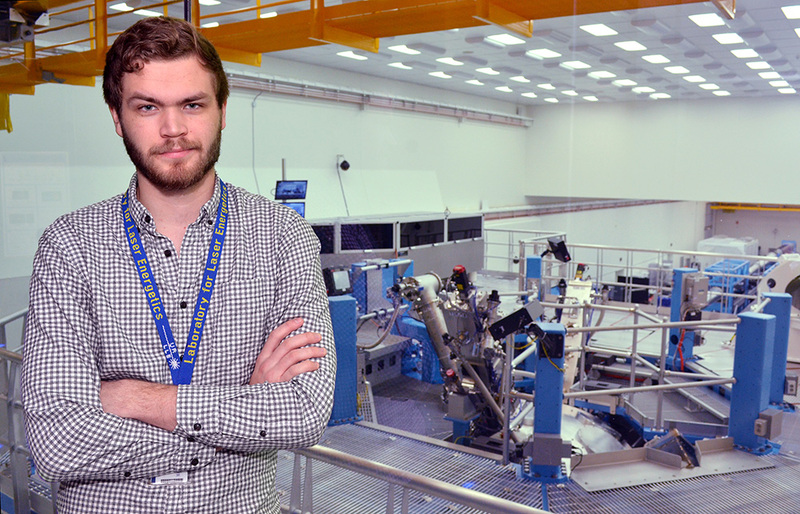 By his second semester, his pipe dream came true: he began doing research at LLE and has been immersed in projects there ever since. “Italian was a bit of a separate interest,” he says. He enjoys traveling with his family and started studying Italian in high school “in hopes of giving myself and my family more opportunities to travel there.” His continued Italian studies at the University offers him a different type of challenge than do his physics and math classes. “Italian just seemed to scratch an itch in a completely different part of the brain,” he says. Participation in the Modern Language Club allows him to further scratch that itch by attending Italian movie nights, Italian conversation hours, and Italian cooking sessions. Xu, who is from Livonia, Michigan, says he chose Rochester because, “I would have the opportunity to study music with amazing faculty at Eastman and to simultaneously explore my interest in computer science.” He is majoring in both applied music and computer science through the Dual Degree with Eastman program. “Both fields have been lifelong passions for me and I wanted a diverse undergraduate education,” he says. 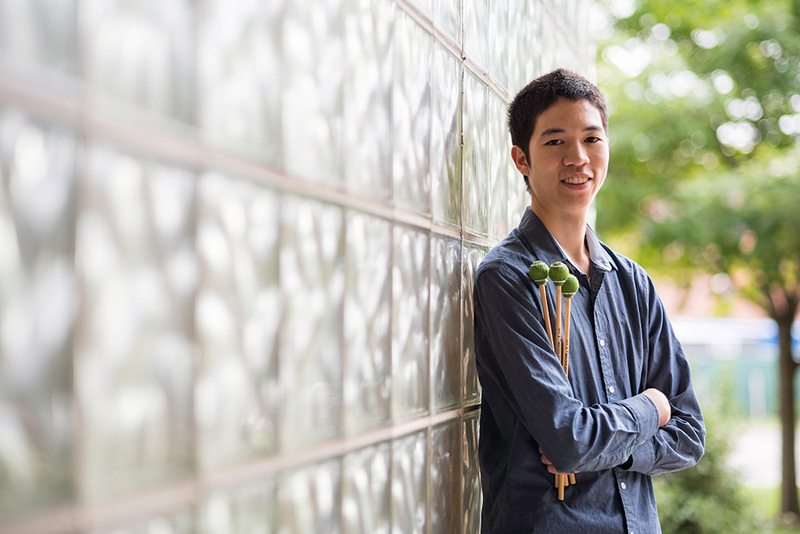 Xu plays percussion, “which encompasses a wide variety of instruments, ranging from solo instruments like the marimba to orchestral instruments like the snare drum to any object that you could make an interesting sound with,” he says. Xu plays in several ensembles at Eastman, including the student-run contemporary music group, Ossia, and the Zimbabwean mbira ensemble. Xu plans to continue his training in percussion performance in graduate school. In the meantime, he is pursuing interests beyond computer science and music. This past semester, he helped organize a voter registration drive at Eastman in partnership with the Rochester Center for Community Leadership and the Committee for Political Engagement. 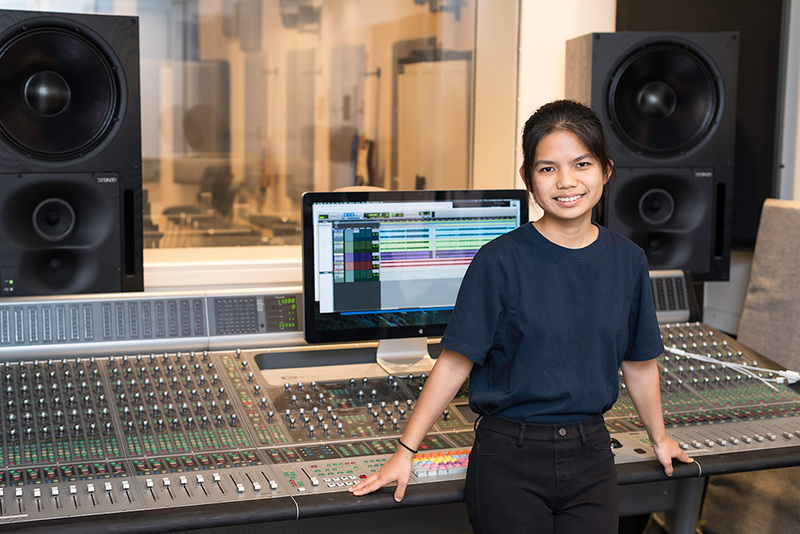 Zhang, who is from Wuxi, an eastern Chinese city near Shanghai, chose Rochester because it offered her a chance to major in audio and music engineering (AME), in addition to pursuing minors in math and music. “Also, there are plenty of research opportunities for undergrads here and concerts to attend at the Eastman School of Music,” she says. Zhang says the AME major, offered through the Department of Electrical and Computer Engineering (ECE), was a “perfect fit” for her because of her interests in both music–she’s played piano since age 7 and enjoys singing–and applied science. Zhang has served as a teaching assistant for classes in programming and in audio software design. She spent this past summer as a Xerox Engineering Research Fellow in the lab of Zhiyao Duan, assistant professor of electrical and computer engineering, working on a system that retrieves sounds in a sound library by using vocal imitation. She has continued working on the project this semester. She plans to continue studying electrical and computer engineering, with an emphasis on audio, in graduate school. “I want to do more research about the interdisciplinary area between audio/music, signal processing, and machine learning,” Zhang says.